I make my full time living as a chimney sweep - it isn't a side business or an add-on business. Proud to be independent of any shops, etc. 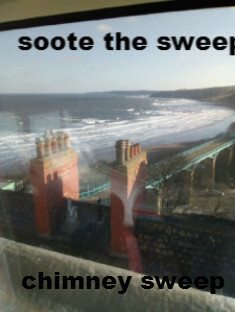 Are you looking for a chimney sweep Preston, Blackpool, chimney sweep Southport? We are a family run firm of local chimney sweeps with over 36 years experience, who pride ourselves on giving a first class clean, efficient, affordable and polite service. So, if you are after a chimney sweep Preston, Blackpool or Southport why not give us a try and support your local chimney sweeps? Old fashioned values, modern equipment.